Many of us were excited to see Israel’s mission to the moon launch successfully last Thursday night, without a glitch and right on time. (Yes, on time!) The thrill was a little extra for me as I got to cover the entire event from Cape Canaveral, visit the actual launch pad before liftoff, and interview the Israelis who designed and built the SpaceIL Beresheet lunar module. If you’ve never had the chance to see a launch up close, you don’t need to be a member of the news media or get special clearance. The same viewing area where I saw the Beresheet lift off is open to the public for the reasonable price of $20 per vehicle. I did get the special access to the launch pad about four hours before liftoff to see the SpaceX Falcon 9 rocket up close, but seeing a launch from any reasonably nearby area is an emotionally powerful experience. Learning about the ingenious planning that went into this mission was amazing as well. 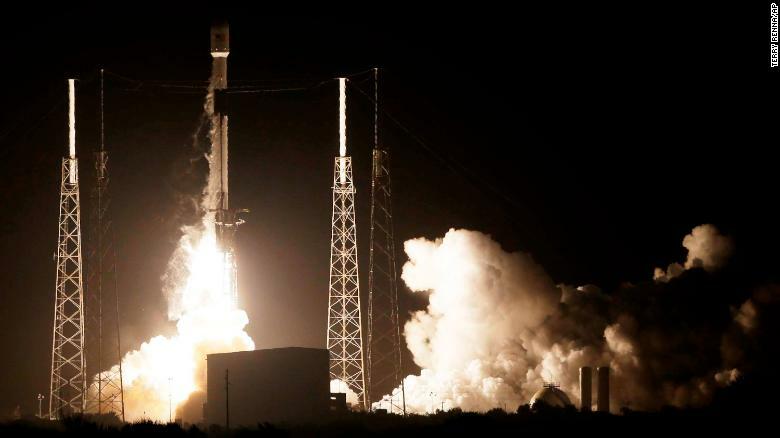 First, there was the savvy cost-saving idea of hitching a ride on the Falcon 9 with two other paying customers, the Indonesian national telecom company and the U.S. Air Force. Second, was the wise decision to use a smart car-sized spacecraft with most of its weight in fuel. Third, was the conclusion to have the Beresheet orbit the Earth six times to build up gravitational momentum to be able to make it to the moon without a bigger and more expensive set of engines. But the big question even proud Jews may still have on their minds is: how was this mission able to get enough support in a country that doesn’t really have to prove its technological brilliance, and still has so many other pressing issues to face? And even though the $100 million cost of the project was 98 percent covered by private donations, a lot of people were at least quietly asking the shorter and simpler question: what’s this all for? The easy and accurate answers to those questions included the fact that countries can’t stand still in the tech race even if they’re on or near the top. Another answer is that Israel wanted to do some research in partnership with NASA. Finally, there are other, non-aerospace technologies that were enhanced by the work that went into the lunar project. But it turned out that a reason many of us would write off as just sappy PR was probably the real explanation. For a year or two prior to the launch, SpaceIL traveled across Israel to explain the mission to schoolchildren. The top SpaceIL engineers and executives all made a point that they hoped to inspire those children to get into the STEM fields, (science, technology, engineering and math), as a result. Sounds nice on its own, but there was a sense of urgency involved. As great a reputation Israel has now when it comes to tech, pharma, and all kinds of science, there is a growing worry among the nation’s political and industry leaders that the next generation isn’t as interested and skilled in the sciences as the current adult population. The idea behind the Beresheet mission is to create some kind of Israeli version of the “Apollo effect” the United States enjoyed in the 1960s when our moon missions inspired the likes of Bill Gates, Steve Jobs, Jeff Bezos, and so many others. If this new generation isn’t inspired by Beresheet, than perhaps something else will do the trick. But any good student of history knows that the best military, economic, and technological powers eventually decline and often fall. Israel can’t afford for that to happen anytime soon. Sports fans know that the second a team focuses more on protecting a lead than adding to it, the game has likely been lost. Israel’s tech leaders seem to understand this as well, and thus they are literally and figuratively reaching for the stars. The U.S. needs to take notice. While down at the launch site, I had the good fortune to meet retired NYU professor and aerospace expert Ken Kremer. He attends every launch at the Kennedy Space Center, not just to study the scientific aspects of each mission, but to support space exploration in general. Kremer warned that any nation not investing in space is not investing properly in science overall. It doesn’t matter if it’s government or privately-funded exploration, Kremer and others insist the United States must focus more on aerospace or fall behind China and others. On that score, Israel is just getting into the game. But it’s a game worth staying in from now on. Jake Novak has been a TV news producer and editorial columnist for more than 25 years, with expertise in political, economic, religious, and cultural issues. He has produced shows at CNBC, CNN, FOX, and several local stations across the country. Novak is a graduate of theYeshivah of Flatbush, has a bachelor’s degree in political science from Columbia University, and a master’s degree from Northwestern’s Medill School of Journalism. Follow him on Twitter@jakejakeny and read his columns on 5TJT.com.